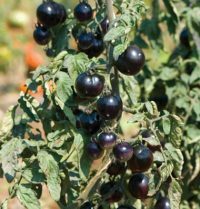 Tomato – Indigo Rose is the darkest tomato bred so far, exceptionally high in anthocyanins. Anthocyanins are powerful antioxidants. The fruits have a dark purple to black skin like nobody has ever seen before. A tomato with very dark purple/black skin. February to March. Sow 5 seeds into a small pot (7cm) and keep in a warm place. Pot on into individual 7cm pots when ready. Plant into greenhouse or polytunnel. The name ‘Lycopersicon derives from the Greek, ‘lycos’ a wolf, and ‘persicon’, a peach probably in reference to its supposed poisonous qualities. ‘Esculentum’ however means edible. A U.S court ruling from1893 decided that the tomato is officially a vegetable. However, botanically it is a fruit and politically a vegetable. Tomatoes are certainly one of the most exciting tunnel and greenhouse vegetables to grow. The flavour of home-grown tomatoes can never be matched by the bland and thick skinned supermarket tomatoes. In fact, modern tomatoes are bred so that they will last for weeks on supermarket shelves and don’t bruise when handled. The other trouble is that they are grown without soil often in strawbale culture that is drenched with artificial fertilisers and with supplementary heat and lighting. They are nearly as badly treated as battery farmed hens. The tomato grows wild in South America. It was first cultivated in Mexico by American Indians and brought back to Spain by Spanish conquistadores. In 1544 it reached Italy. Soon after it spread throughout Europe. Some people were highly prejuduced against the tomato. John Parkinson insisted that tomatoes are ’full of slimie juice and waterie pulp’. Even in America the tomato had a bad reputation. It took Robert G. Johnson to publicly eat a whole basket of tomatoes to dispel the myth that tomatoes were poisonous. Tomatoes require a very fertile soil. Just imagine a full sized tomato plant – well over two metres tall and all the hundreds of fruits it produces. It surely needs a lot of nutrients. The best feed is composted farmyard manure or garden compost. I usually incorporate a full wheelbarrow composted manure into the soil for every three square metres. If they are grown in pots or growbags ensure that the pots are large enough (40l) and that you don’t plant more than two plants per growbag. I have to admit I’m not a fan growing tomatoes in growbags or pots as their growing space is far too restricted. Obviously if you haven’t got a suitable spot in your border growbags may be the only option. Tomatoes need to be raised on a heating or warm south-facing windowsill. Best results are achieved when the temperature is set on 21ºC. Seeds are best sown in late February until mid March into traditional open seed trays (not modular trays). Seeds should be sown thinly into the trays (about 100 seeds per standard tray) or pots (about 10 seeds per 9cm pot). Then the seeds should be covered lightly with seed compost using a sieve and pressed in using a wooden board that fits snugly into the tray. Keep the trays moist at all times – never overwater them or let them dry out. The tomato seedlings should emerge after 10 days. It is very important to prick out the seedlings as early as possible, ideally into 10cm pots containing a richer potting compost. Remember to hold the seedling on the seed leaves (cotyledons) and plant the seedling so the seed leaves are just above soil level. During this stage the plants should remain on the heating bench. Young plants in pots must be spaced out as soon as their leaves are touching – roughly about every three weeks. If you fail to do this the plants are becoming weak and spindly. When the plants are well rooted in their pots and before they get pot bound, they can be planted into the greenhouse or polytunnel. I would never plant them out before May. Tomato plants can be trained up strings that are attached to an overhead wire. After digging the planting hole lay the bottom part of the string into the hole and the other end tied to the overhead wire. Plant the tomato plant on top of the string and cover and gently firm the soil around the plant to leave no air pocket around the plant. If your tomato plants have become leggy you can plant them deeper. This will strengthen the plants. The plants should be spaced out 50cm apart. You can have a single or double row per bed. The yield is obviously higher from a double row but a single row usually produces healthier plants. Every week you will have to side-shoot your tomato plants. Many beginners find it difficult to distinguish between a leaf, a side-shoot and a fruiting truss. The side-shoot is always the one in the middle – the one between the main stem and the leaf. The fruiting truss can be recognised by small yellow flowers and there is never a leaf below. Obviously, never remove the trusses otherwise you’ll have no tomatoes. And no matter how long the side shoots are, even if they already have flowers or fruit on them – you have to remove them. When they are still quite small you can easily nip them off with your fingers. When they are bigger you better use a sharp knife or secateurs. Apart from regular side-shooting you should also wind the growing plant around the twine or tie onto canes if that is your training method. The lower leaves of the plants should be removed as soon as they start to discolour. 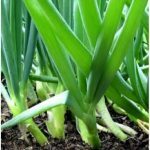 There will be a much improved air circulation around the plants and they will thank you with much healthier growth. There are, however, two different growth habits of tomatoes. Whichever you have depends on the variety. The first group consists of the tall tomatoes. Seed catalogues often describe them as indeterminate or cordon types. These are the ones you will have to side-shoot and train up strings or canes. The second group are the dwarf or bush tomatoes. 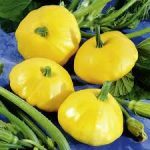 They are suitable for growing in pots or hanging baskets. Bush tomatoes do not need to be side-shooted. They will only grow to about 50cm in height and can be left to their own devices. There are some exceptions: some varieties are neither determinate nor indeterminate. They start off as if they are a tall type and you remove the side-shoots, but then suddenly – out of the blue – they lose their growing point and they suddenly stop. You can expect your first harvest of tomatoes in July, possibly slightly earlier in very warm parts. My favourite variety ‘Sungold F1’ is always the first one to ripen and often the one that lasts longest. It is also very yielding. You will often get up to 400 most delicious cherry tomatoes from it. It is important to harvest your tomatoes regularly – at least once a week – otherwise the fruit becomes over-ripe and rots or splits. You can expect to get a regular supply of tomatoes until the end of October and in some year right into November. Unfortunately tomatoes can be affected by a whole range of pests, diseases and disorders. This is quite common with tomatoes. It is caused through irregular watering and a sudden burst of growth occurs after a dry period. Some varieties of tomato are more prone to splitting than others. A regular watering regime may solve this problem. The symptoms of blossom end rot is a dark and often rotting area at the base of the tomato fruits. This disorder is caused by a shortage of calcium. Often the calcium is not absorbed quickly enough due to a lack of water. The symptoms of greenback are hard unripe green patches on the fruit while the rest of the fruit is fully ripe. Hot conditions can cause this uneven ripening. In order to prevent greenback, ensure that there is adequate ventilation and in warmer areas consider shading your tunnel or greenhouse during the summer months. This little white aphid also affects peppers and aubergines. As it originates from Mexico it cannot survive outdoors. The symptoms are sticky leaves that in turn get infected by sooty mould and then turn black. You will also see the small white flies that take to the air when the plant is disturbed. The whitefly is mostly found on the underside of the lower leaves. There is a very easy way to never getting whitefly into your tunnel or greenhouse. You simply raise all your tomatoes, peppers and aubergines from seed. If you never had them before or buy a new structure the only way you can possibly introduce them is through plants that have been affected. Most gardeners that already have a tunnel or greenhouse for many years will probably already have them. There is now a very effective control and this is the ‘Encarsia formosa’ – a biological control. It is a tiny parasitic wasp that feeds on the whitefly. You can by the eggs of the wasp by mail order. The timing is important. They should be released as soon as the first whitefly appear. If there is already an infestation it’s too late. It is so successful and reliable that now even conventional tomato growers prefer this method to chemical control. Grey mould is a very common disease in tunnels and greenhouses. It affects many different and unrelated vegetables. Tomatoes are usually affected from late summer/early autumn onwards when it becomes more damp and cool. The symptoms are grey fluffy moulds on leaves, stems or fruit. As a prevention provide the best possible ventilation even on wet days. You don’t want condensation to build up on the plastic or polythene. Keep your tunnel or greenhouse tidy and remove any affected leaves and dispose of them. If the disease is already on the stem you can try the milk and water spray. You use one part milk to 5 parts water and spray the mix in three consecutive days onto the affected part of the stem and you’ll find that the disease stops spreading. Both potatoes and tomatoes can suffer from potato blight. It’s not often a problem in tunnels and greenhouses but in bad years it can quickly wipe out your tomato crop. There is no cure for it but there is now a blight resistant tomato variety available – Ferline F1 – and it even tastes quite nice. The symptoms are yellowing of the leaves while the leaf veins remain green. The older leaves are affected first. If your soil is deficient in magnesium you can use magnesium limestone. You can enquire in local quarries which type they have. It is usually quite inexpensive to buy ground limestone. Six good tomato plants are enough if you just want to eat a few tomatoes every day from July until October. If you want to preserve tomatoes for the winter you can grow about 15 to 20 plants..